Ruscha (Germany) 315 Pitcher in black circa 1954. This vase came in only one size (larger than Kurt Tschorner's 315 vase). 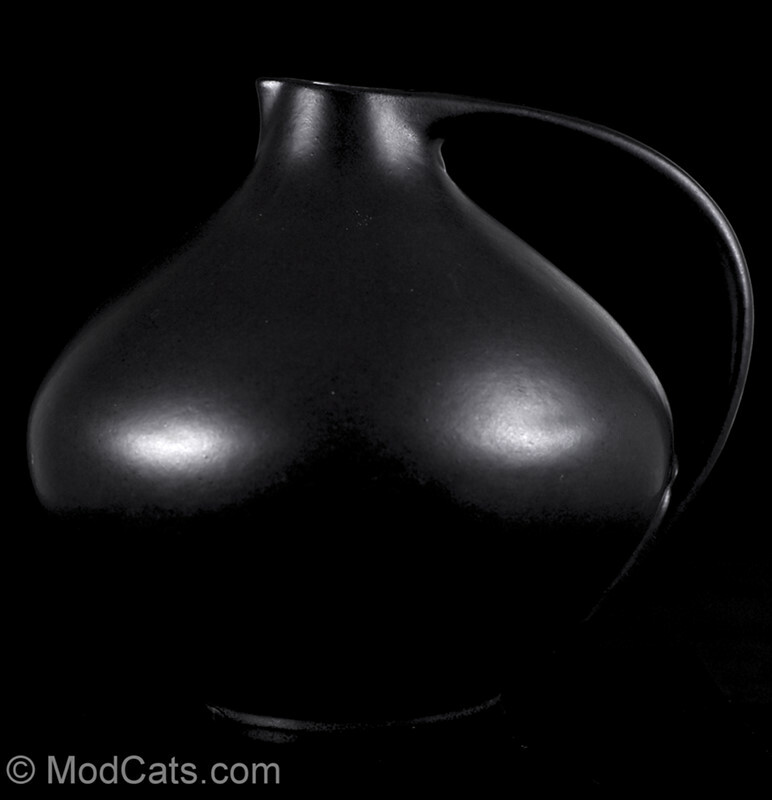 Super architectural shaped piece accentuated by its pure black glaze.